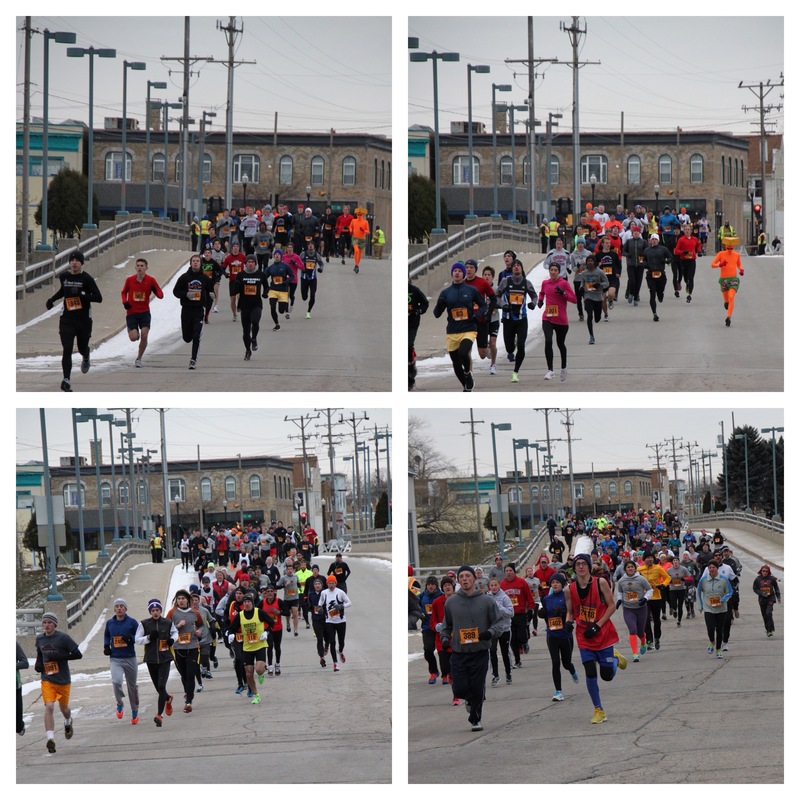 I’m a member of the Kenosha Running Club and every year the club puts on two races, the biggest one we do is the Kenosha Mayor’s Turkey Day run. As a member of the club we volunteer for the race. I have run the race the past 3 years, so it was a bit weird to work the race and not run, but I know it’s for the club and so that we continue to have a very successful race. The race has a 2 mile and 10K distance, more people run/walk the 2 mile than the 10K, it’s a great way to get a little bit of exercise in before eating all sorts of Turkey and Thanksgiving meals. 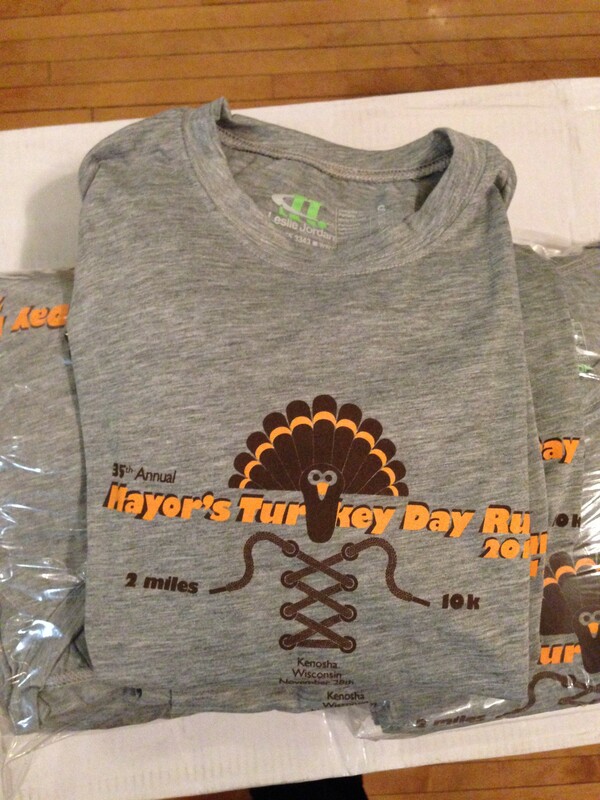 On the Monday before Thanksgiving the club gets together to get everything all ready for Wednesday packet pick-up. I ran 4 miles with some of the ladies before so I didn’t feel so guilty eating pizza! 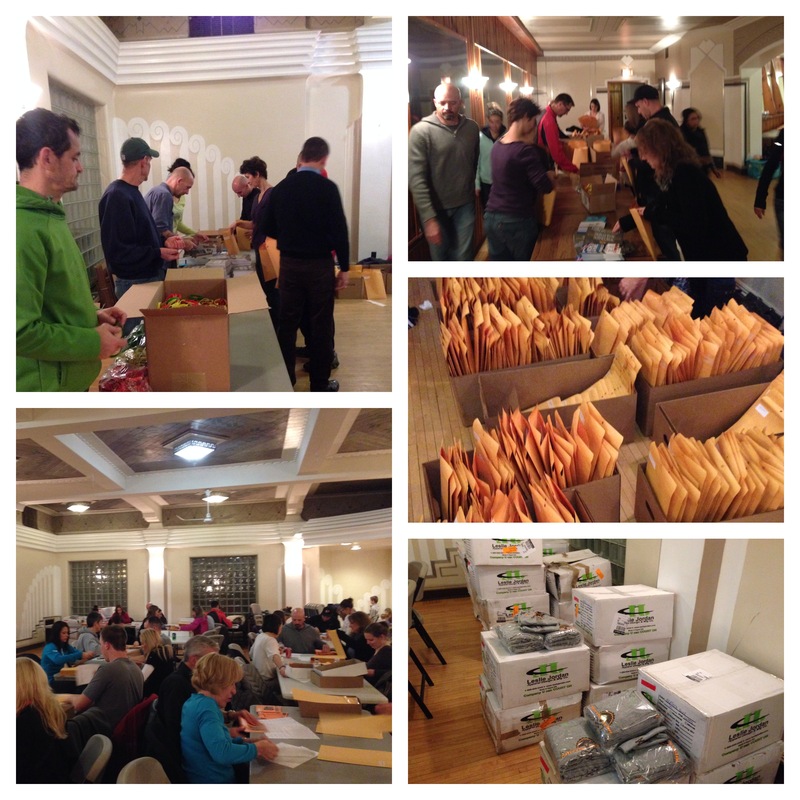 We sticker bibs and envelopes and stuffed them full of info for the pre-registered runners. It was all done pretty quick with all the helpers. lot’s to do with lots of helpers! 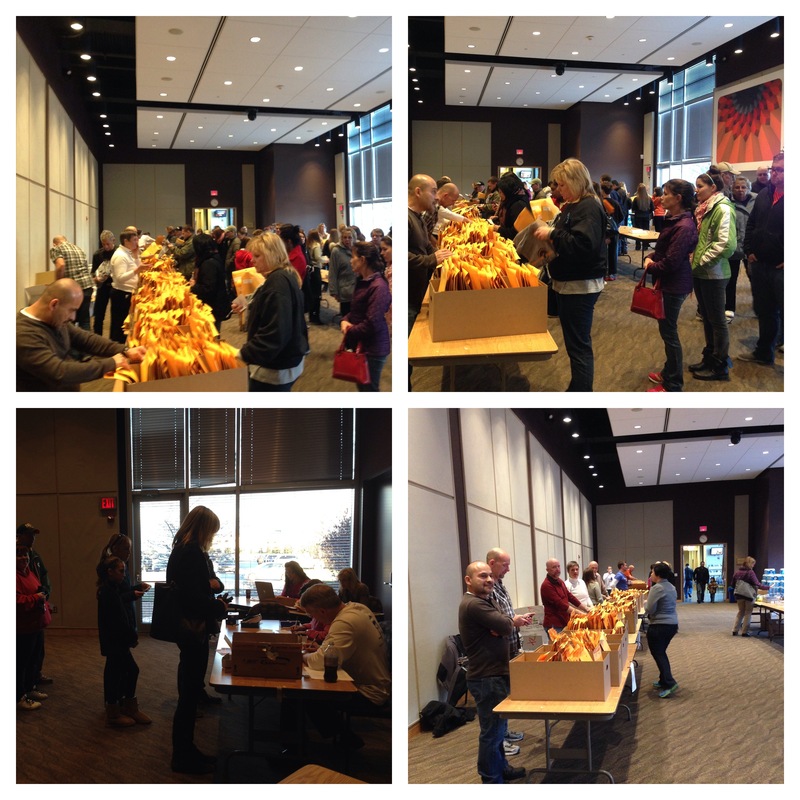 The night before the race we have packet pickup for people to get their bib’s and tee shirts before the race. It also is a chance for people who haven’t yet registered for the race to come out and register. 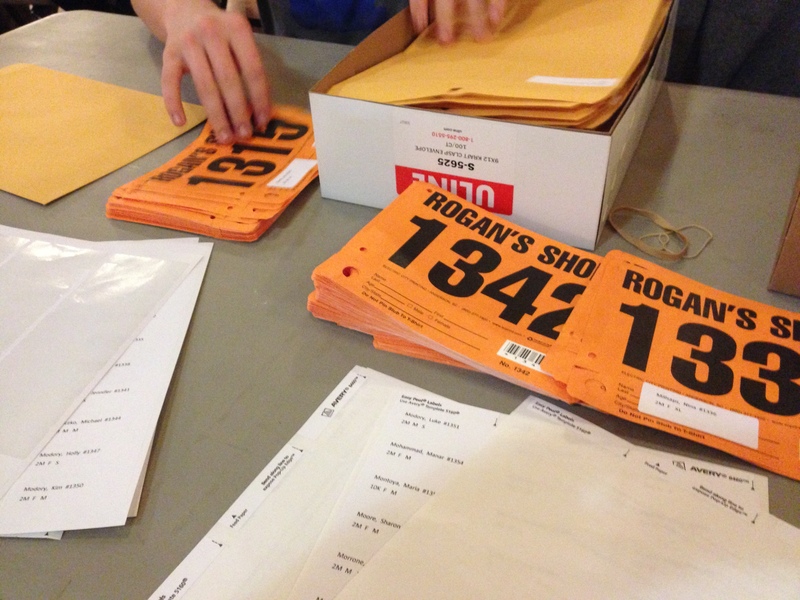 lots of packets to be picked up! I was out on the course for race day, I was at the entrance to Simmons Island Park, so I got to watch all the 2 mile and 10K runners/walkers come by, I brought my camera to take pictures. My fingers were freezing part way through but I did get some great pic’s. 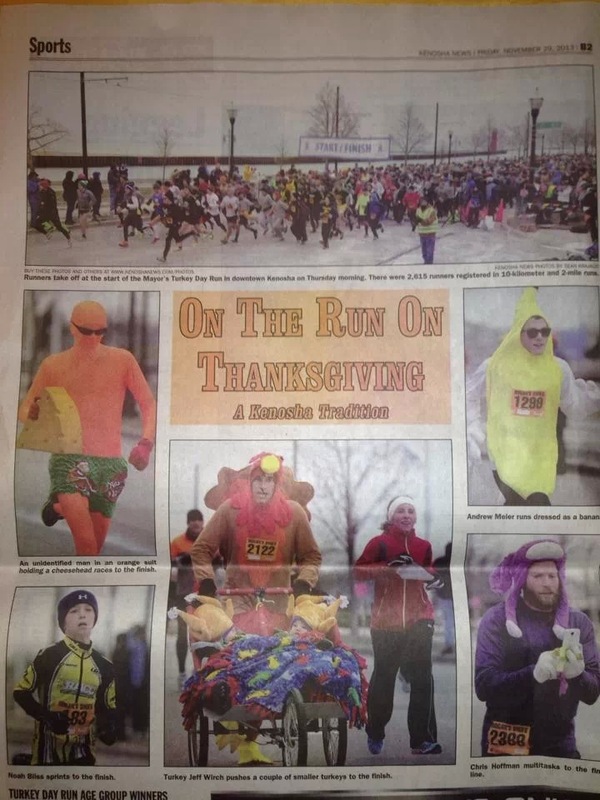 This entry was posted in Uncategorized and tagged Running, Turkey Day. Bookmark the permalink.